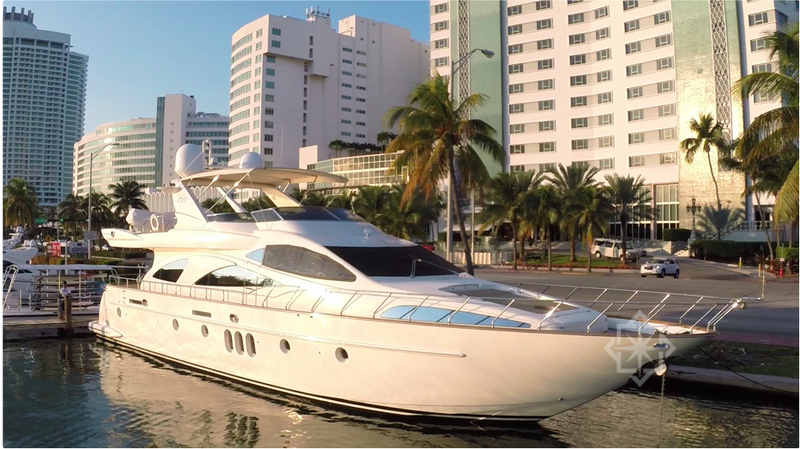 At 80 feet the Azimut is a spectacular example of the wildly successful Carat model from Azimut. 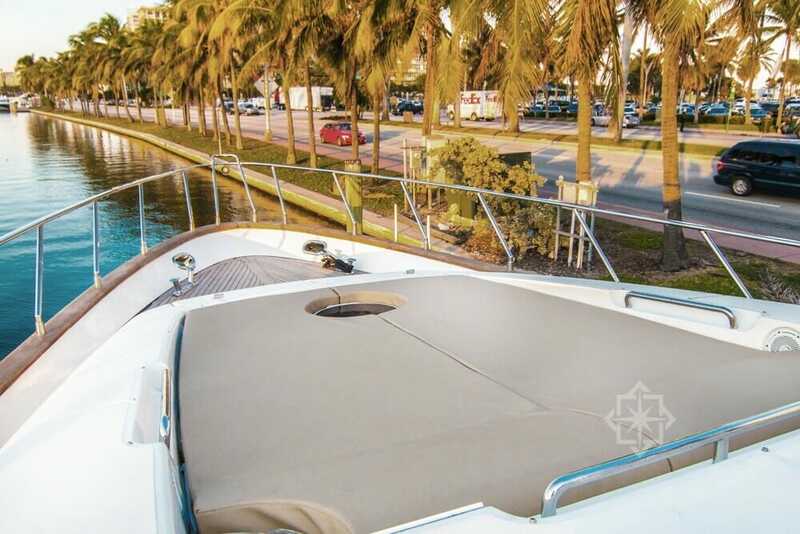 Her immaculate condition and extensive upgrades make her a top choice for the discerning charterer! 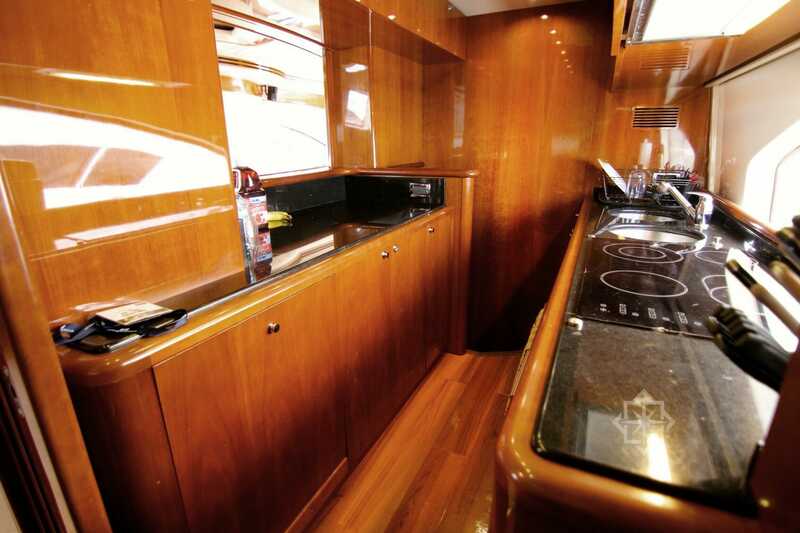 The yacht features cherry wood throughout, with neutral colored leather sofas that nicely complement the woodwork. 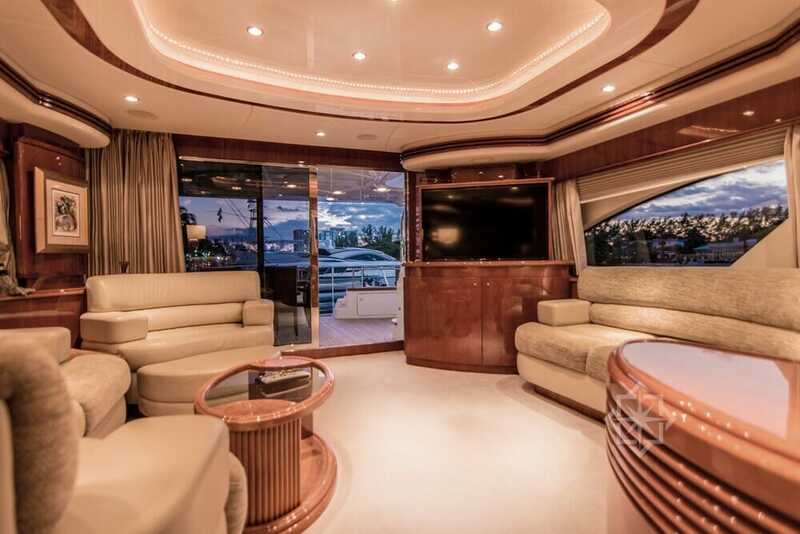 The expansive Salon is well-equipped for entertaining with its two 2 curved sofas, over-sized chair and dining area, which comfortably seats eight 8 charter guests for dinner. 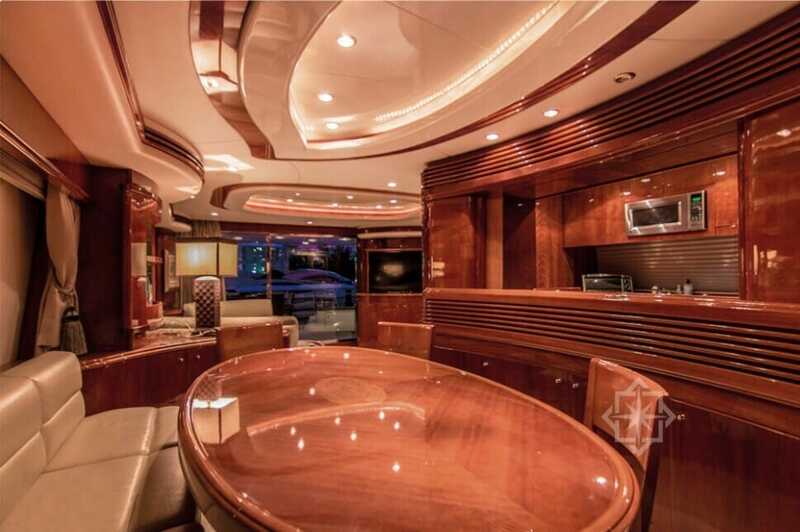 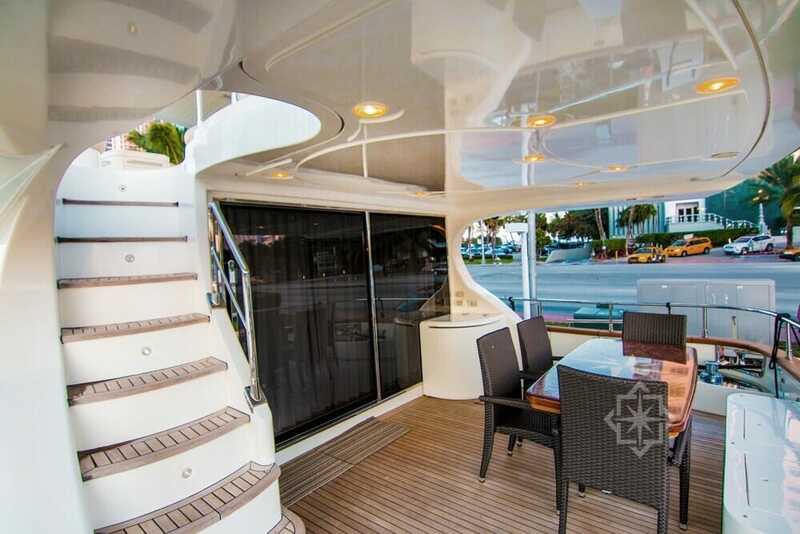 The spacious flybridge of this yacht can accommodate a large group. 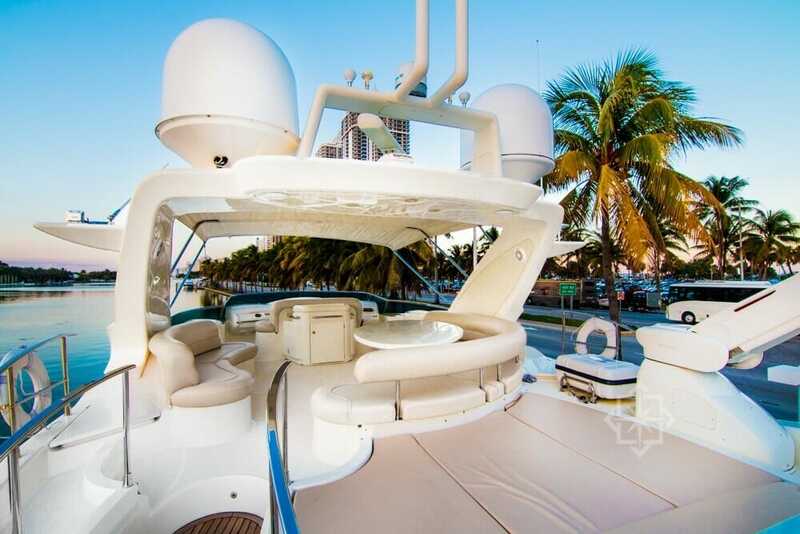 Just sit back and relax while the crew of this magnificent yacht pampers you and your. 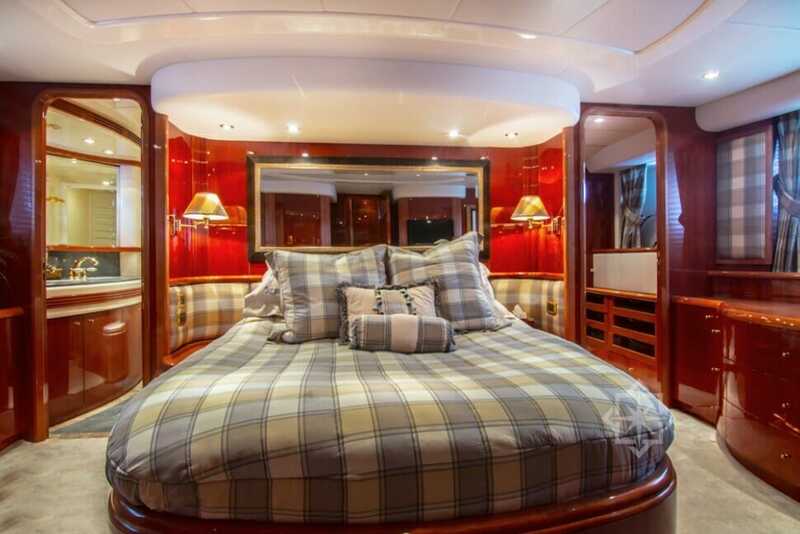 For term charters this 80′ Azimut has room for nine guests in a master stateroom and VIP stateroom with queen beds, and two twin guest staterooms with single beds and Pullman berths.